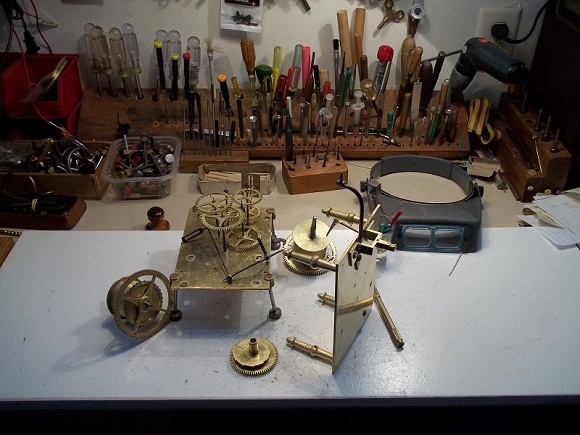 Joseph Spodick, certified clockmaker at Spodick Clock Shop, has been dedicated to the repair and restoration of clocks in Southeastern Wisconsin since 1988. We value our customers and offer quality service by taking pride in the repair of your timepiece. Feel free to stop in our full service clock shop in Franksville, Wisconsin, or contact us concerning all your clock repair needs. Take a moment to visit our store page. We have an ever-changing selection of antique and vintage clocks for sale. Stop in the clock shop to browse our New Cuckoo Clocks for sale.